Eleven individuals have been arrested by the Wennappuwa Police over the charge of purchasing heroin, along with a heroin dealer. 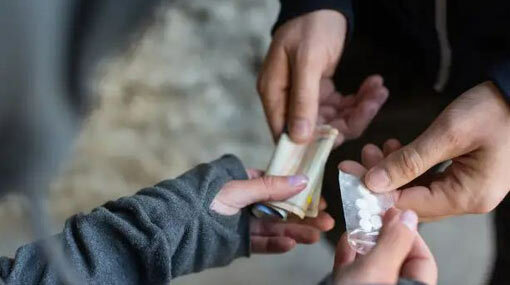 The main suspect has been identified to be a major heroin racketeer under the alias ‘Olu Mara’, who buys heroin from outside areas and sell them in Sirigampala Colony area. The arrest made yesterday (09) at Sirigampala area in Wennappuwa has led to the discovery of 2g 300mg of heroin on the main suspect. Reportedly, the suspect has been arrested several times on previous occasions over heroin rackets. The other arrested individuals had been at the scene to purchase heroin and the police have discovered heroin on them as well. All 11 suspects are in their youth, according to Ada Derana reporter. The suspects will be presented before Marawila Magistrate’s Court.